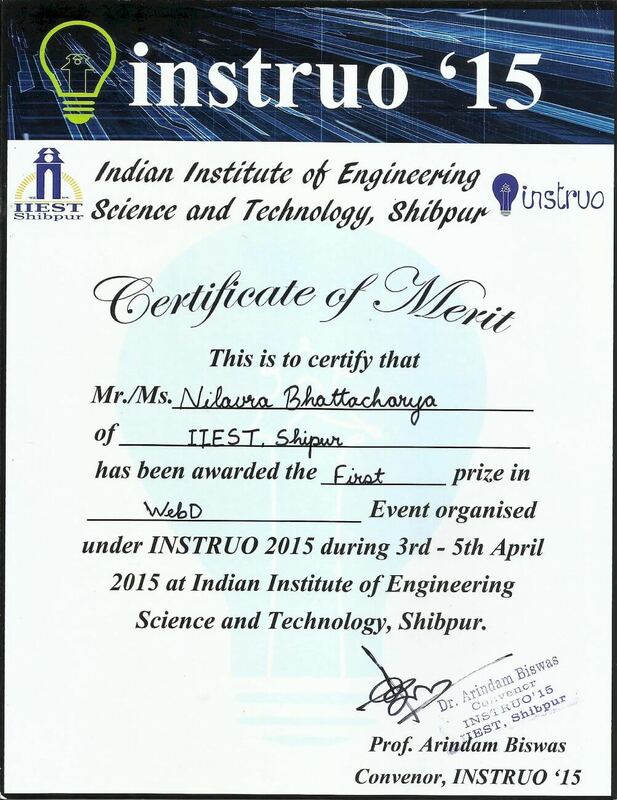 INSTRUO – the annual technical fest of IIEST Shibpur (my alma mater) – organized a web development competition called WebD for the first time in 2015. It was a simple enough problem, and I breezed through it easily, and won the first prize. 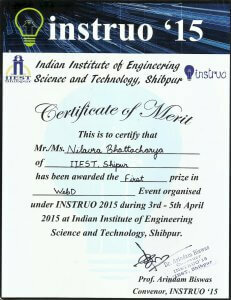 FOR: Competition Entry for WebD event, organized under INSTRUO 2015, at IIEST Shibpur, India. “Make a website for the Ramanujan Library of IIEST Shibpur, and show us that even a library may have a very interesting website.” Only front-end design. No backend required. Prepare three responsive pages – homepage, catalog page and contact page. Homepage portrays services and unique features of the library. Catalog page shows books / CDs available, with facility to group, search and sort books. Made Google map colour scheme to match with the website. Contact form is progressive and intuitive. Easily accessible search bar in all pages. Homepage showing offered services and unique features. Catalog page with search and sort facility. Latest and trending items are also appropriately highlighted. Dialog to reserve a copy of a book or CD. Contact page with a progressing contact form. Map with custom colour scheme to match the mood of the page. Contact page – mobile view.